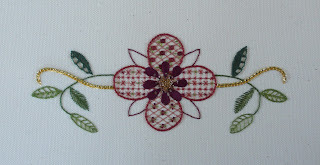 A small group of us met at Goodworth Clatford Village Club on Saturday 23 April 2016 for a very enjoyable day learning the techniques of metal embroidery with Lisa Bilby. Lisa, a freelance specialist embroiderer, was a former apprentice and now a teacher at the Royal School of Needlework. 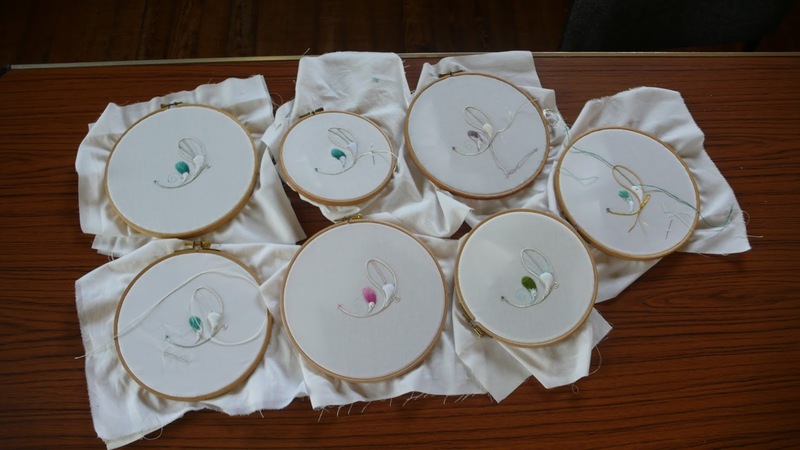 She explained how to put our design onto the fabric and the basics of working with fine threads and silver wires. She provided us with kits and we set to work. Although we knew that we would not finish our embroidery during the day, Lisa showed us all the techniques we needed and helped us to achieve a good standard of work. We learnt about padding and couching, as well as long and short stitch and how to get the best effect from bright check. We worked quietly in a very relaxed atmosphere and we made steady progress throughout the day. Lisa was very patient and gave us individual help. 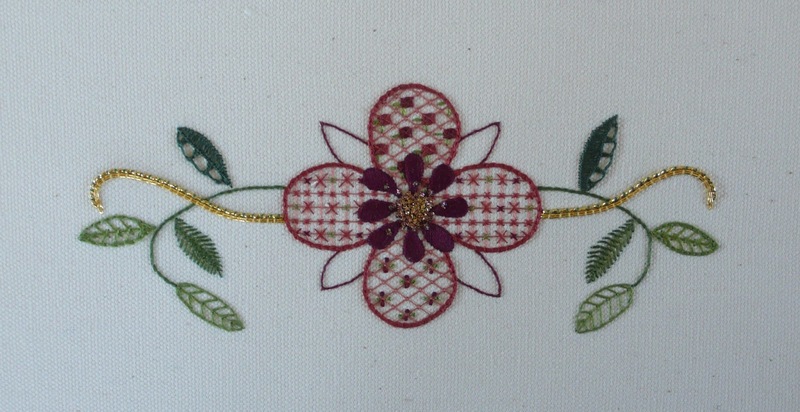 She also shared her vast knowledge and experience of embroidery with us, which was much appreciated. 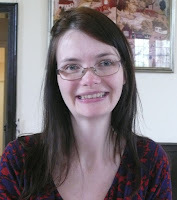 Thank you Lisa for a very enjoyable workshop, for your calm approach and your encouragement. We all appreciated it.